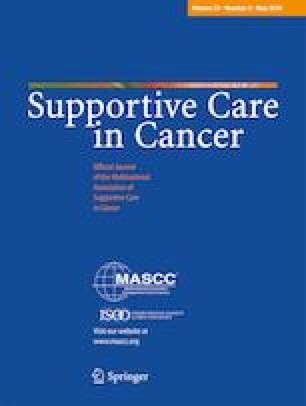 This study aimed to develop and assess the feasibility of an online communication skills training intervention to increase cultural competence amongst oncology nurses working with individuals from minority backgrounds. The intervention provided examples of communication strategies using vignette-based, professionally produced videos, developed through an iterative process with input from a large multidisciplinary team. Fifty-three oncology nurses completed all three questionnaires at baseline, within 2 weeks and then 3 months after accessing the programme. The online intervention was well received by the majority of participants, and was endorsed as clearly presented, informative, relevant and useful by more than 90% of participants. Eighty-seven percent of participants reported increased confidence in communicating with patients via an interpreter, and 93% agreed that skills they gained would be useful in providing better patient care. Participants reported significant improvements in practice while interacting with people with limited English proficiency 2 weeks and 3 months after accessing the website (X2 = 13.66, P < 0.001). This online communication training programme can now be tested for its utility in improving patient care for oncology nurses working with patients from minority backgrounds. The online version of this article ( https://doi.org/10.1007/s00520-018-4507-4) contains supplementary material, which is available to authorized users. We are thankful to all participants for giving their time to complete the evaluation. The training programme for healthcare professionals, Effective Cultural Communication in Oncology (ECCO)—A training programme for oncology health professionals, was funded by an Australian Research Council Linkage grant, Cancer Institute NSW and Multicultural Health Services (South Eastern Sydney Local Health District) in conjunction with UNSW Australia, the University of Sydney, Monash University and Prince of Wales Hospital. Bettina Meiser is supported by a Senior Research Fellowship Level B (ID 1078523) from the National Health and Medical Research Council of Australia, and Afaf Girgis by Cancer Institute NSW grants. This study was approved by the University of New South Wales (UNSW) Medical and Community Human Research Ethics Advisory Panel. Bettina Meiser has a remunerated consultant role with the company Astrazeneca with respect to a study unrelated to this article. The other authors declare that they have no conflict of interest.